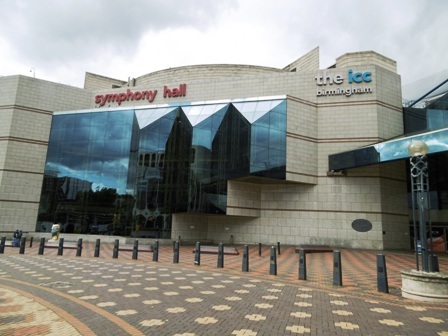 Music, dance and relaxing exercise are all on offer at Birmingham's Symphony Hall on Monday, June 12 to mark the start of Carers Week 2017. All four of the venue's foyers will be divided into separate zones, including an entertainment zone with performances from Midland musicians such as Andy Bunting and Holly Thomas, Melody Music and Halas Homes Sing and Sign Choir. Local dancer Sohan Kailey will also be on hand to teach visitors some Bhangra moves. Attendees to Celebrating Carers will be able to participate in gentle yoga and relaxing massages in the health and wellbeing zone. 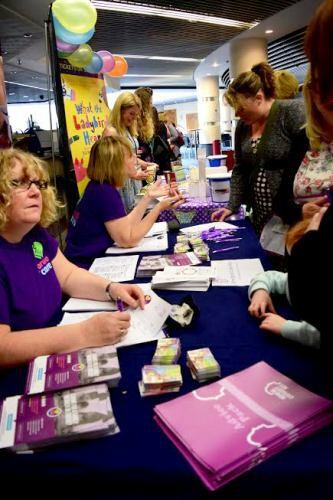 More than 50 charities and organisations will be taking part in the free event, which runs from 10:30am until 2:30pm, providing advice to carers so that families can stay healthier and happier together for longer. Organised with Forward Carers and Midland Mencap, Celebrating Carers acknowledges the unsung heroes who care for their loved ones on a day to day basis. It is an opportunity for carers and their loved ones to take time out together from their daily routine in a fun and relaxed environment and have access to help, guidance and support from organisations in the region. The focus of this year's Carers Week is 'Building Carer-Friendly Communities'. 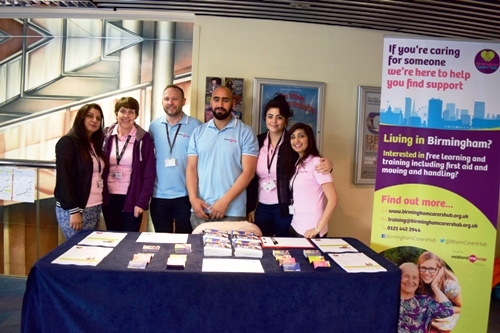 There are around 107,000 carers in Birmingham, with one in eight people caring for a loved one or dependent and one in four households in the city being home to a carer. Research has shown that carers who feel supported by their local community are healthier and more likely to balance life and work, whilst maintaining important relationships with friends and family. year to celebrate the work that carers do year-round. It is an opportunity for us as a venue and organisation to provide a brief moment of respite for carers and to allow us to look after them, entertain them and understand their needs more." Simon Fenton, CEO Forward Carers, adds: "Carers Week is time to acknowledge the amazing work of our unsung heroes, those caring for a family member or friend day in and day out. We are delighted to be in our third year of partnership with Town Hall/ Symphony Hall to host our Celebrating Carers event. It's an opportunity for carers to take some time back for themselves, to enjoy some entertainment, meet up with others over a cuppa and find out about the local support you can get."